Do you know what’s great? We are living through an interesting time in the history of technology, where everyday people can choose to have a real impact. It’s not a matter of waiting for large institutions to fix what we know can be fixed. You and me, me and you, we can just choose to engage each other and build solutions. That’s why Startup Weekend Civic Pittsburgh is happening at 6:30 p.m. on Friday, September 18th in the neighborhood of Allentown. It is a chance for us to come together and build solutions. These weekends are a global movement, but it’s nothing new to our region; there have been about a dozen in the area over the past few years. If you’re not familiar, a Startup Weekend is typically a 54-hour hackathon where folks from different backgrounds come together to pitch ideas, form teams, and start new companies. They have a great track record of launching some of the hottest new companies in town that often go on to Alpha Lab and Thrill Mill. Although, our event is a Startup Weekend with a twist. Instead of creating solutions on a national or global level, we’ll be helping to launch new companies and nonprofits that seek to be impactful in our neighborhoods, city, and region. For some people, that might mean starting a company that solves a problem affecting communities. Others may choose to focus on leveraging the City of Pittsburgh’s new Open Data Forum. Either way, this weekend offers participants a unique opportunity to move their great idea along fast. It all starts next Friday night when participants will pitch their ideas for solutions to problems associated with communities, government, big data, and economic development. Teams of strangers from diverse backgrounds will form around the best ideas, and then over the next two days, solutions will be born. Sometimes the solution is an app or website, sometimes it is a new company like Project Playground. No idea is too big or small to explore. Then Sunday night, an esteemed panel of judges sourced from local foundations, city government, and startups will choose the winners. That’s right, we’re putting your solutions directly in front of organizations that can move it even further forward. It doesn’t matter what your background is, everyone is welcome. You can contribute if you’re a designer, business person, idea girl/guy, software engineer, social media guru, videographer, large squirrel, government official, someone in economic development, or just a normal everyday person that cares. You’ve got ideas. You’ve got passion. You want to help make the region better, stronger, and more livable. It’s time to register. 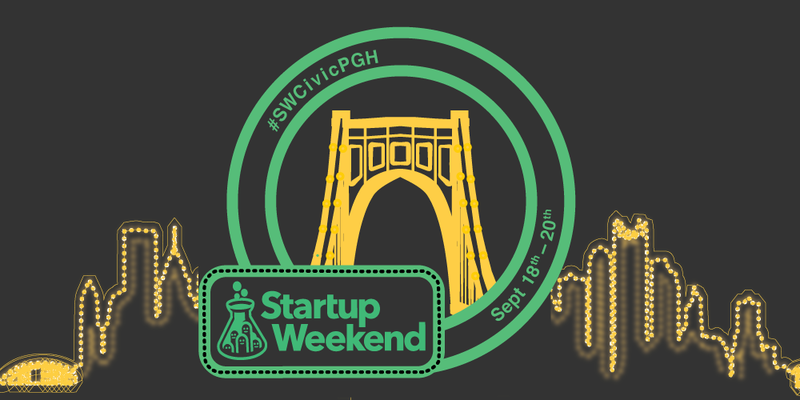 Use code SWHeartsPGH for an extra discount. Tickets for the weekend include all your meals (plus the best networking and professional development you could ever ask for).